The issue is that both direct (A) and standard (V) selection tools add central (pivot) points of other objects to the selection that just happen to be encompassed by the selection. What I'd like to do is use the selection tools to just select the burgundy rectangle even if my selection area happens to go over the pivot points of other objects. I could almost swear with 47% certainty that this is not how selection tools in Illustrator worked before. Is there an option to tell Illustrator to only select anchor points and paths, not pivot points? Please note, pivot points might not be the official name for them but that's how I've always called them. With the center point off you can only select objects by clicking their paths and dragging over the center of an object won't cause a selection (assuming there's no fill applied). I'd call it a "centroid" but, depending upon the actual shape that may not be accurate either. -- "center point" seems to be something everyone understands and agrees upon for AI. It is the center of the AI bonding box, but not always the center of the actual shape... if that makes sense. A workaround: Select objects in the layers panel (there's a selection dot to click). You can also temporarily lock there those objects that you want to keep out of the dragged selections. Not the answer you're looking for? Browse other questions tagged adobe-illustrator selections or ask your own question. How can I select a specific anchor point that intersects with many others from the same object? 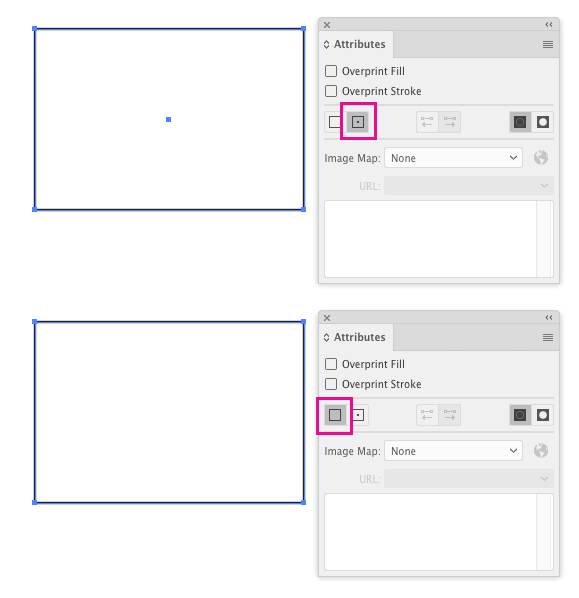 Is there anyway in Illustrator to prevent a path object from moving when selecting an anchor point? Illustrator and direct selection tool. Help!